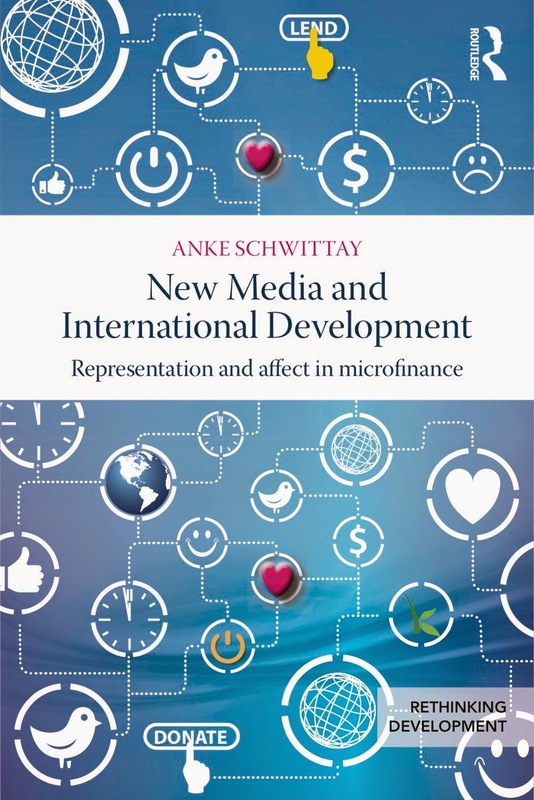 First cohort, IMTFI fellow Anke Schwittay recently published a new book titled New Media and International Development: Representation and Affect in Microfinance (Routledge 2014). Research for this book began in 2009 with an IMTFI grant awarded to her and Paul Braund to study the digital lending network emerging around Kiva.org, a person-to-person microlending website founded in San Francisco in 2005. In this post, Anke reflects on the process of writing the book, and how it grew out of her IMTFI research. The IMTFI grant enabled field research in Mexico and Indonesia, allowing us to study how the virtual network of Kiva is grounded in particular localities. We learned about the ways in which Kiva recruits its partner organizations and manages technological infrastructures and financial flows with microfinance institutions (MFIs). We also studied how the MFIs themselves deal with the requirements of being a Kiva partner, especially around borrower selection and verification, and the role that Kiva Fellows play in facilitating this process. During a visit to the offices of Kiva’s Indonesian partner, MFI, I noticed a poster showing photos of a group of tourists sitting in meetings with borrowers, but also riding through the countryside in Jeeps and snorkling in sparkling blue waters. Intrigued, I asked one of the MFI staff about the poster, and he explained to me that his organization regularly hosted small groups of tourists, mainly from Germany and New Zealand, who come to combine learning about how microfinance works on the ground with more typical holiday adventures. This conversation was the beginning of my interest in the way in which everyday people in the Global North learn about microfinance, which eventually became the central focus of the book. During the course of researching the book, I visited Chennai, India as a participant in a micro finance tour, I conducted interviews with Kiva borrowers and Fellows, and analysed the Kiva website, blogs and photos. I realized that the representation of microfinance has much to do with the ways in which it remains popular among Northern publics, even in the face of increasing academic and journalistic critique. These representations materialize in prototypical images of smiling women, often in traditional clothes in their places of work, and in what I call ‘microfinance’s obligatory success stories’ of poor women enterprising themselves out of poverty and often work on an affective level. This has lead me to analyse the connections established by sites like Kiva as ‘affective investments,’ which are financial, social and emotional commitments to distant others. The book traces these investments from more mediated ones established through a CGAP photo competition and the Kiva website to personal encounters through microfinance tourism and volunteering as a Kiva Fellow. I also ask if these affective investments enable a more critical engagement with microfinance that is necessary in order for Northern publics to learn about its negative aspects. This is especially important because these publics are usually only treated to anecdotal and highly photogenic stories of success that do not engage the questionable impact of microfinance, its complex gender dynamics or its links to neoliberalism that have been exacerbated with commercialization. I conclude that while personal encounters as tourists and volunteers do open up possibilities for more critical engagement, these are usually foreclosed by the scripted nature of microfinance encounters and by the pressure from microfinance organizations at all levels to upkeep its obligatory success story. Follow this link to read more of Anke Schwittay's work with IMTFI. People working in consumer finance who want to share perspectives across different sectors and disciplines face a communication problem: finding a shared language to talk about people and trying to understand their lives. The bad news is that “thought silos” persist and block possibilities for valuable collaborations. The good news is that a great deal of collaborative work is already underway that demonstrates the value of getting past the silos. Of course, it makes sense that we use different terms to refer to the people we work with, because we do have specific aims and goals. Selling someone a credit product is clearly not the same thing as running a financial literacy project; launching a mobile money service seems miles away from running a lab experiment on, say, risk-taking behavior. However, our language differences obscure the fact that we are often trying to answer the same basic question: what drives people to make financial decisions for themselves and their households? The last few decades has seen a trend that illuminates just how much the different sectors of consumer finance have in common. This is the much-touted shift towards what's known as “client-centricity” or “human-centered design.” Often attributed to Peter Drucker’s work in the 1930s, the aim of this shift is to flip our focus: for example, an NGO may cease to ask “How can we integrate people into our programs?” and instead ask “What are the things that people actually need?” The goal of researchers operating within this framework is to first try to understand the context in which people live and operate, and only then ask what might be lacking. This isn't just a more humanistic approach. Nor is it just a useful approach to designing better products and services. It also provides a platform for collaborations. Putting people’s understandings of their needs at the center means that we are starting from a common vantage point, making it easier to conceptualize shared projects. And focusing on the problem we are trying to solve, whether it is conceptual, policy, or end user oriented, can help to offset the siloing effects of professional or academic-specific language and framing upon which many projects depend. Consider the following example. IMTFI researchers Ndunge Kiiti and Jane Mutinda worked in rural eastern Kenya to investigate the use and impact of mobile money services among twenty-one women’s groups. Their project was part research, part intervention, and part policy work. They needed to respond to the interests of their research participants and the stakeholders who served them as well as collect their own research data. Kiiti and Mutinda invited representatives from each of the twenty-one women’s groups to attend a workshop that included collective discussions, presentations by some of the groups, and discussions with service providers and policy makers. This expanded format also permitted the researchers to share their preliminary findings, gave service providers and policy makers an opportunity to respond to the women’s concerns, and provided an occasion for the women to network. By bringing the women to the front and center of the project, Kiiti and Mutinda were able to unite the concerns of the women, mobile money providers, NGOs, and their own academic work. Making customer-centricity happen isn’t always easy. CGAP are currently working on a project that explores what it takes to get businesses to shift their focus to customers. When they began collaborating with Janalakshmi Financial Services, one of India’s largest urban microfinance institutions, CGAP discovered that “all its products and processes are set up from the organization’s point of view and not the customers.” CGAP then began to look closely at both the lives of microfinance customers and the organizational culture of Janalakshmi Financial Services. In a workshop aimed at “wearing the customer’s shoes,” staff members were tasked with thinking through whether their products really matched up with their customers’ needs. The final output of the collaboration will be a household map that helps staff profile customers along a far more nuanced range of dimensions, in order to make recommendations for products and services that will better meet their customers’ needs. By focusing on people’s needs and experiences--a concern all three groups had in common--the microfinance agency, their customers, and CGAP were able to identify points of mutual value. These examples show that knowing how people assess a product’s features is not enough: we also need to find out what those products mean to them emotionally and socially, and how they will be incorporated into the individual's everyday life and social networks. This was precisely what IMTFI researchers Onyima Jude Kenechi and Onugu Charles Uchenna looked at in Nigeria. They investigated how women chose between mobile money and traditional financial services. Many of their respondents reported that they might sign up for mobile money if someone they respected, such as a leader in their church, recommended it to them. This reflects not just the trust people place in their churches, but also the fact that church ministers have often provided loans, acted as guarantors, or offered financial advice. A product's usability may not guarantee its uptake if the social impetus is not there. Conversely, product uptake is not possible without companies to develop the products in the first place. People-centric collaborations therefore matter. Collaborating across sectors isn’t just something that we should do. It is already happening. Global changes in consumer finance, such as the growth of alternative service providers and an increased focus on the under-served, are making collaborations a matter of necessity. Mobile money operators find that they must team with NGOs to achieve “scale”. Commercial businesses must work with regulators, who have a heightened interest in consumer protection issues since the global financial crisis. And academic disciplines, which have been becoming increasingly specialized over the years, are now finding that new discoveries are increasingly made at the intersections of disciplinary boundaries. As these collaborations become more common and more urgent people-centricity is becoming a necessity rather than simply a fashionable trend. This post is part of the IMTFI project Consumer Finance Research: Global Approaches and Methods, which seeks ways to build cross-sector and multidisciplinary collaborations in consumer finance. Read Erin's previous post Call to Action. All eyes are on Kenya to understand the success story of mobile money transfer systems here. What factors have made mobile money so widely used and well trusted? What kind of brave new world are all these mobiles and “flying money” creating in East Africa? is married to Kiingi. Node size indicates centrality. Relatives are in color, siblings in a common color; friends are in white. In 2012 and 2014, IMTFI supported our project on mobile money use in Western Kenya – where rural and peri-urban communities are engaged in subsistence farming, wage labor, and a variety of small-scale entrepreneurial activities. 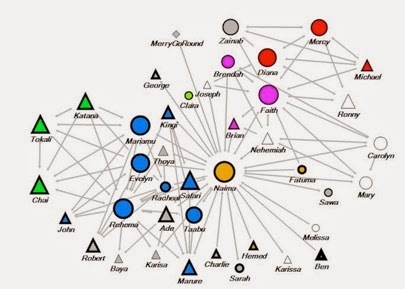 Our research uses social network analysis to map the social relationships created and revealed through money transfer. In this area, people use money transfer to create networks of reciprocal support with friends, relatives, savings groups, and co-workers. Networks are often studied for their presumed benefit to individuals. Personal “networking” is often thought to be one of the development advantages of the mobile phone. How do networks support individual empowerment? How do they shape a “networked self” (Rainie and Wellman 2012:126)? Overall, this research found that a highly instrumental view of networks as personal empowerment doesn’t fit for Western Kenya. In this area, at least, we found that mobile money use is better seen as an amplifier (Toyama 2011) of economic and social practices of reciprocity, friendship, belonging, and obligation. For example, people often create networks with siblings, pooling resources to help a parent, pay school fees for nieces and nephews, or make an investment. The close, life-long relationships of siblings in East African families are well-documented by anthropologists. Based on our study, we developed an alternative view of money transfer—not as personal “networking” but as participating in a group. This mindset of the group plays important roles in how money transfer is used. The network graphs show that reciprocity creates dense networks of sharing that spread benefits across the group rather than to specific individuals. Kottack, Conrad. 1999. 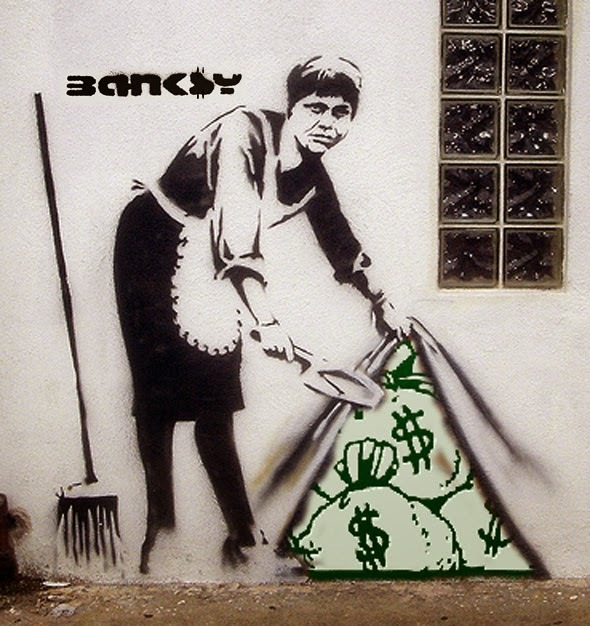 The New Ecological Anthropology. American Anthropologist 101:23-35. Rainie, L., and Wellman, B. 2012. Networked: The New Social Operating System. Cambridge, MA: MIT Press.